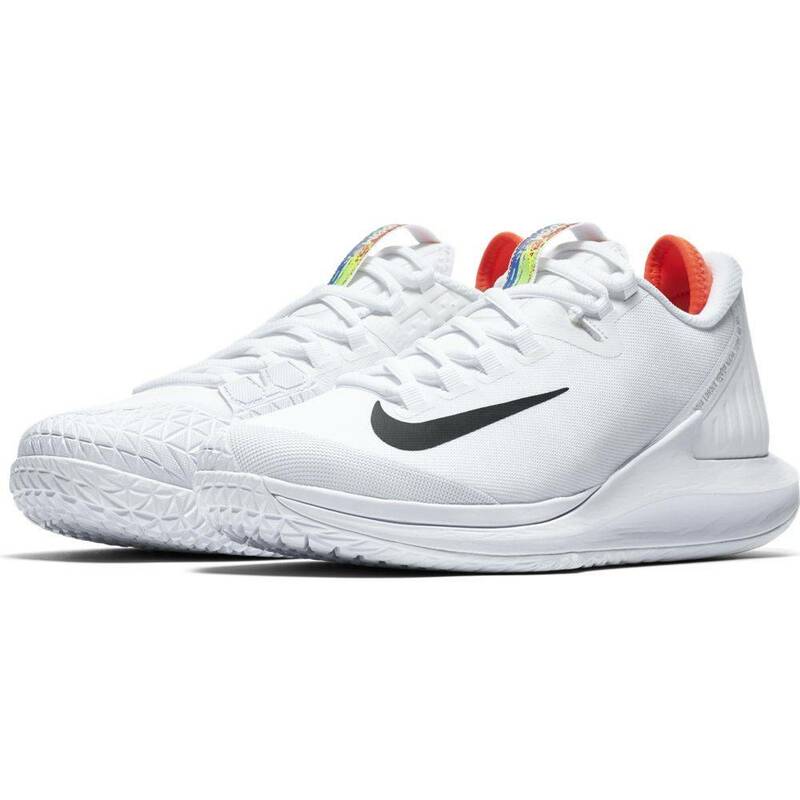 Nike's new NikeCourt Air Zoom Zero women's tennis shoes in white & black are engineered to be responsive and have excellent court feel. 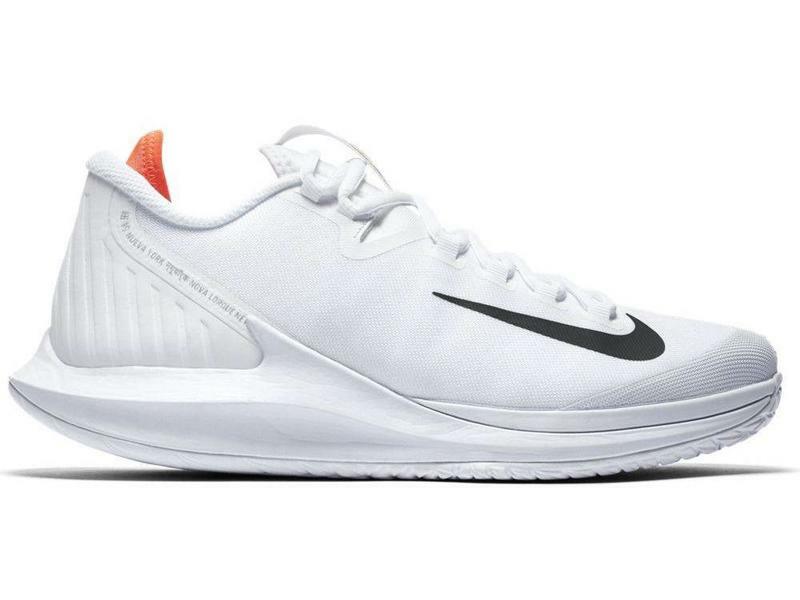 The Zoom Zeros come with full-length ZoomAir unit in the midsole, a first time for a NikeCourt shoe. This ZoomAir unit is visibly angled & curved to deliver its exceptional responsiveness. The curved design allows for more fluid, forward motion. This is achieved by having a more lifted toe tip and heel. The lifted ends are constructed to allow the smoothest heel-to-toe transition of any other shoe. 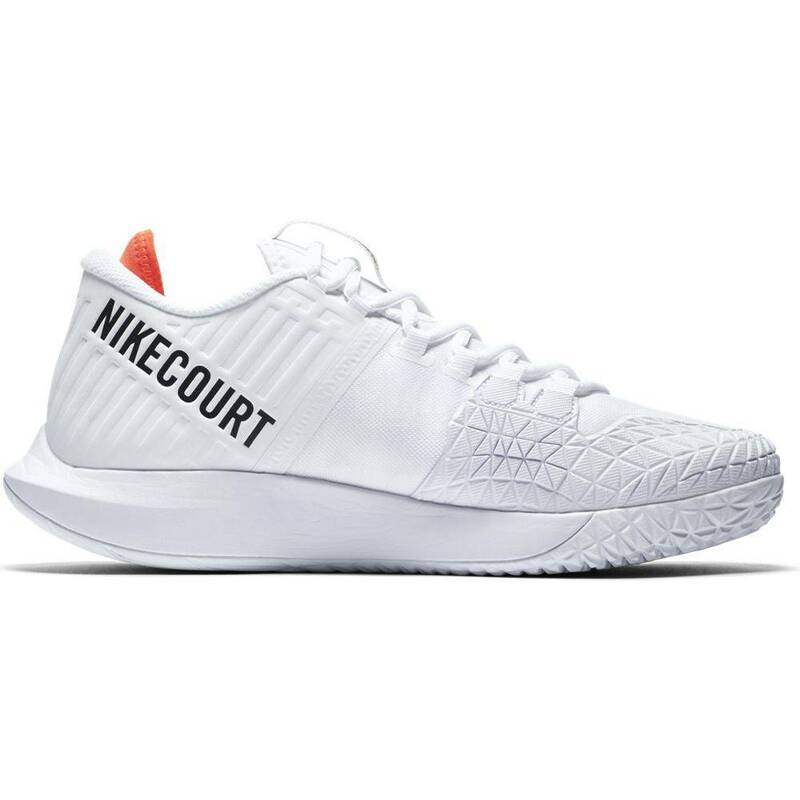 On the court these ends allow you to use your momentum as you move and gives you more power by incorporating the full length of the foot. 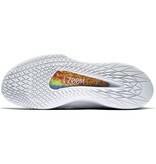 The Zoom Zero's one piece upper is tough on the outside & soft/comfortable on the inside. The breathable bootie gives you that comfortable & secure glove-like fit. 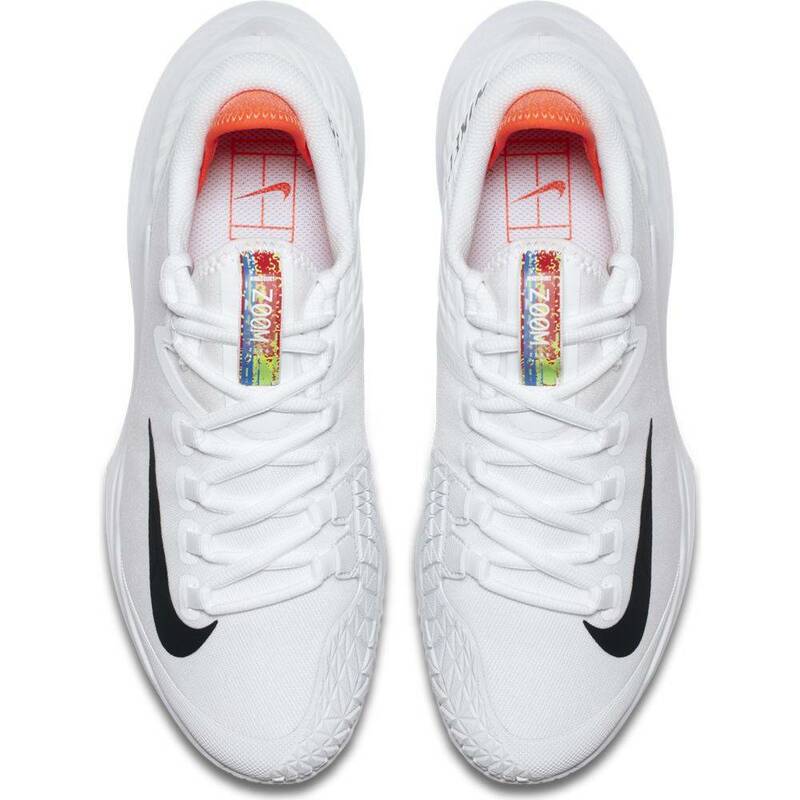 Gilly straps which integrate with the laces, keep you locked-down to the midsole and provide a customizable fit to everyone. 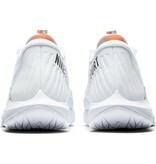 The Zeros also come with a flexible dual-layered toe guard. 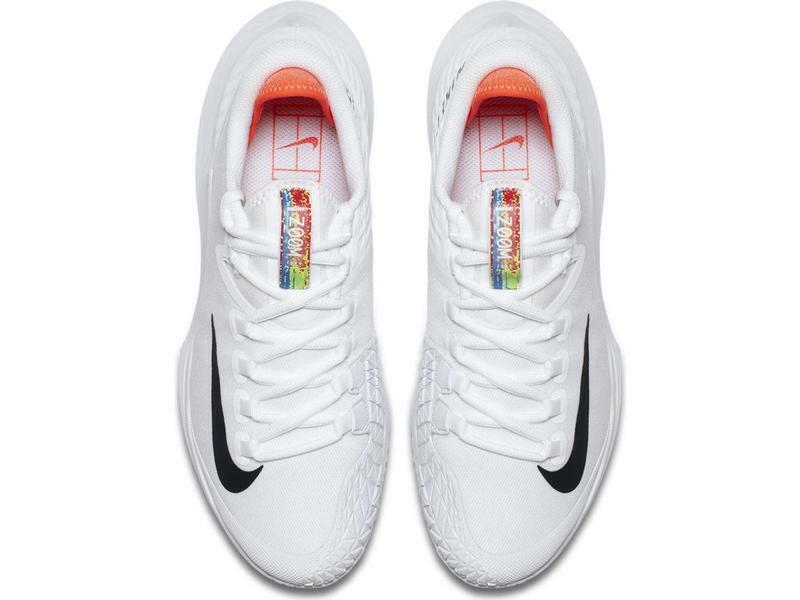 The outsole's unique design keeps it light, stable and provides excellent traction. 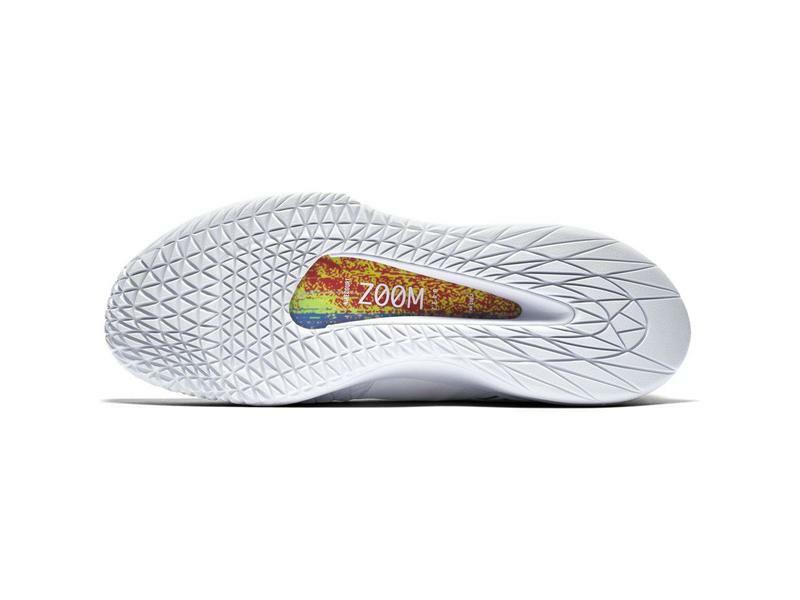 The Zoom Zero is a tight-fitting, comfortable, light and highly responsive shoe. 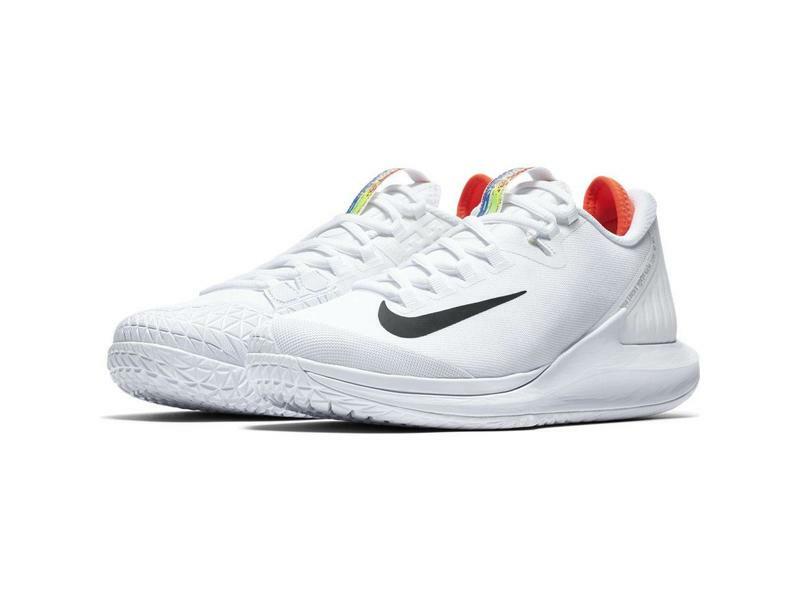 With a durable upper and the first NikeCourt full-length ZoomAir midsole, this shoe is an excellent option for anyone interested in the future of tennis. Upper: Highly durable one-piece upper textile. Dual layered, flexible toe guard. Breathable bootie. Durable nylon tongue pull tab helps get you into the "glove" quicker. 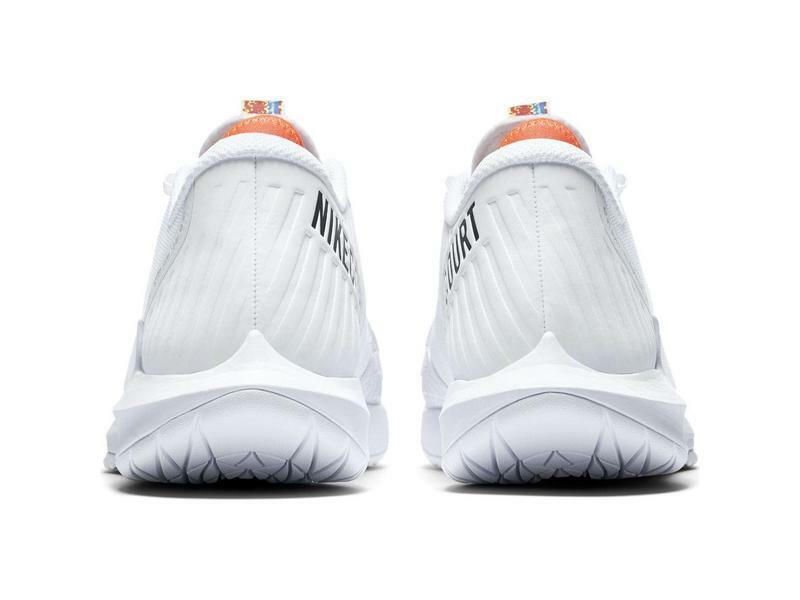 A small strip angled at the rear of the shoe stylishly has "New York" in various languages in a small but nice font. 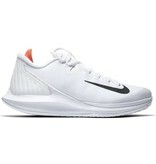 Midsole: First full-legnth ZoomAir midsole unit in NikeCourt history. 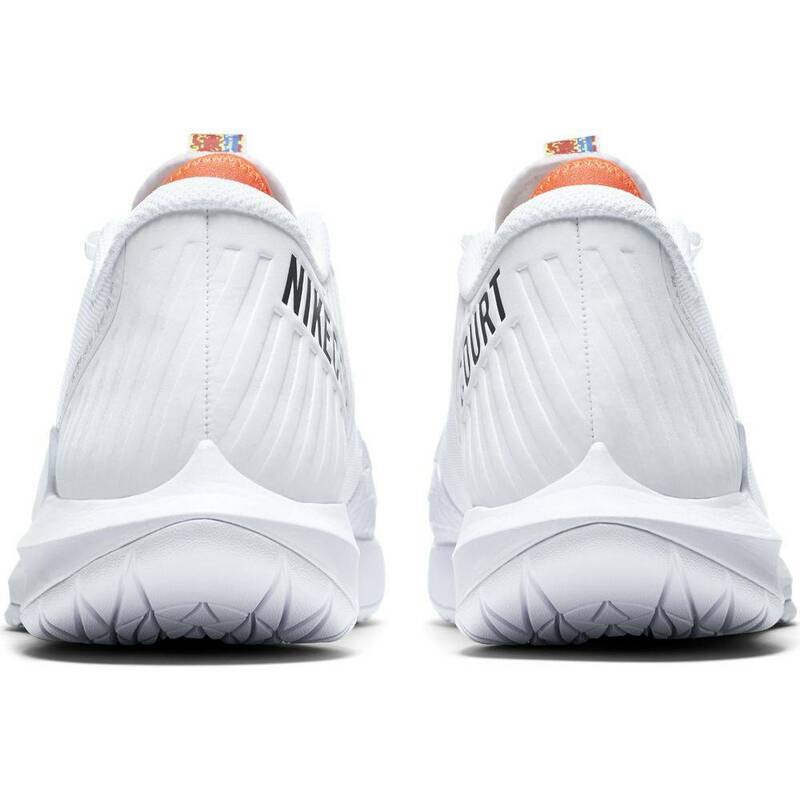 The curved unit helps with energy transfer & delivery, allowing for better heel-to-toe transitioning. 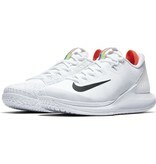 Extra cushioning in the heel allows for an even more comfortable shoe. 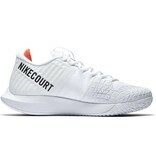 Outsole: Cored out outsole removes weight and adds flexibility. 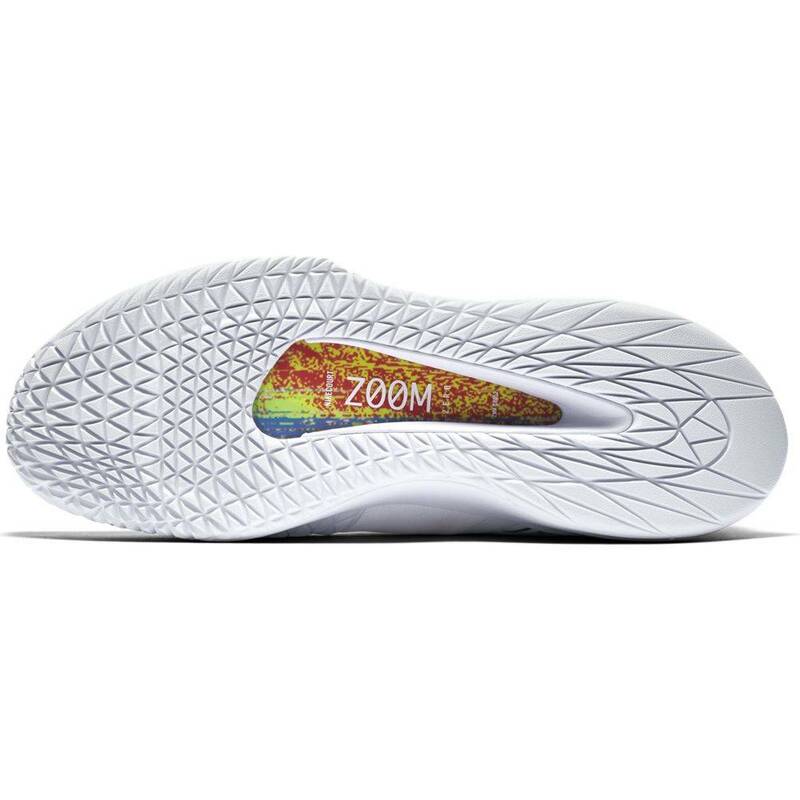 Triangular based outsole thread pattern makes stopping & starting easy in any direction. 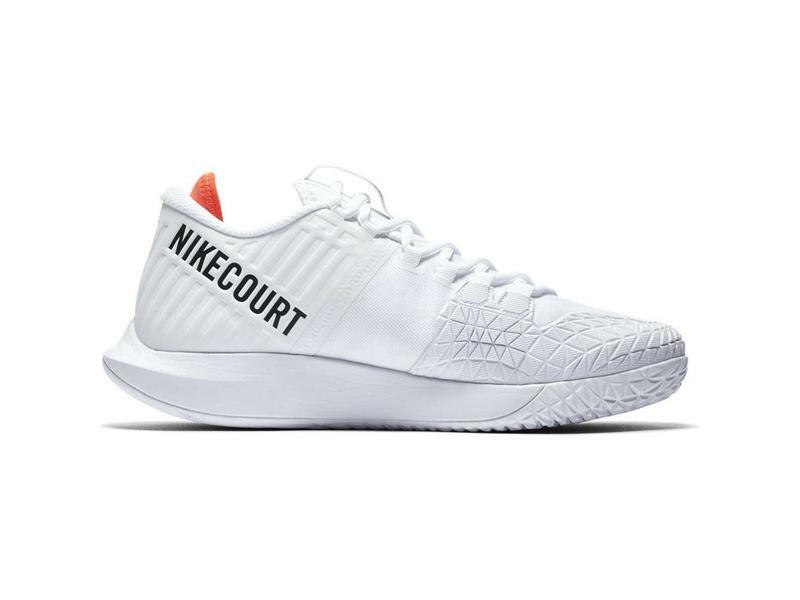 These shoes were not play-tested on clay.